There's nothing better than local, free range turkey. Our turkeys are tender, juicy and packed with flavor. We get rave reviews from our customers constantly and do typically sell out, so get your order in early. 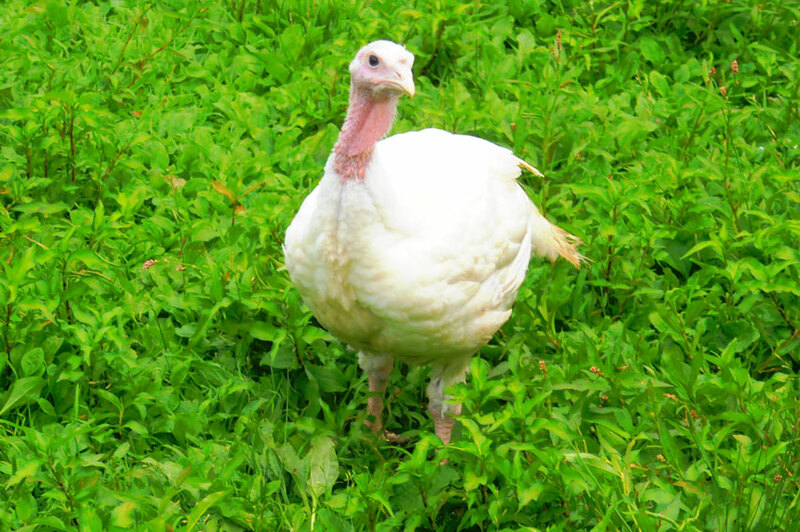 Turkey is one of our very favorite animals to raise (if we had to pick a favorite!) They love people. They come running when they see you. They always have things to tell you, it is quite funny. It is nice to realize that these birds really love being outside in the warm weather, enjoying life. Being able to give them a good life, free from terrible containment is satisfying to us. 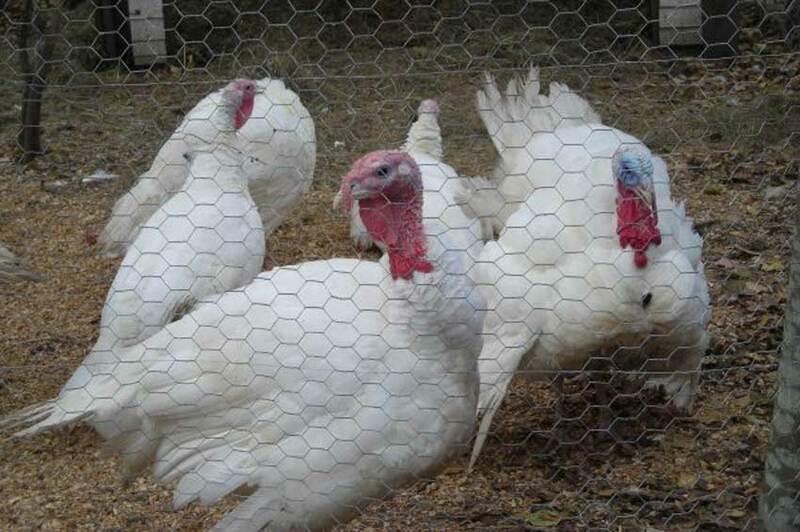 These Broad-Breasted White and Bronze turkeys produce the juicy, rich flavor that we all associate with Thanksgiving! They grow to be anywhere from 12-20 pounds. $5/lb. Order your Thanksgiving Turkey online with a $25 deposit. Our fresh turkey is very popular, we sell out every year! We encourage you to place your order early. At our booth at the Montpelier Farmers Market and select local specialty food stores. This is a fast-growing large and soft-natured bird. They produce the juicy, rich flavor that we all associate with Thanksgiving! They grow to be anywhere from 15-30 pounds.